Fisher Scientific Electrometer Model 380 Titration . New Life Scientific, Inc. 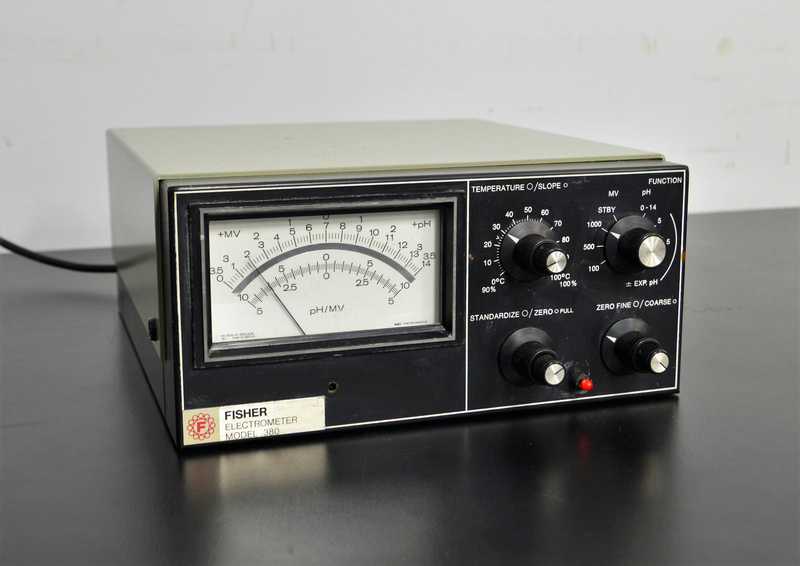 This Fisher Electrometer Model 380 is in fair cosmetic condition with some rust and wear. The housing is physically sound, showing no signs of damage. This instrument is best paired with the Fisher Titrate Demand Model 381 and Fisher Burette / Dispenser Model 395. Our in-house technician visually inspected, initialized, and tested the instrument confirming it to be in good working condition. No problems were found during testing.